These chemical elements are found in Group 1 of the periodic table. They are the most reactive metals. They have low boiling and melting points. Most of the combine with oxygen and silica to form minerals in the Earth. 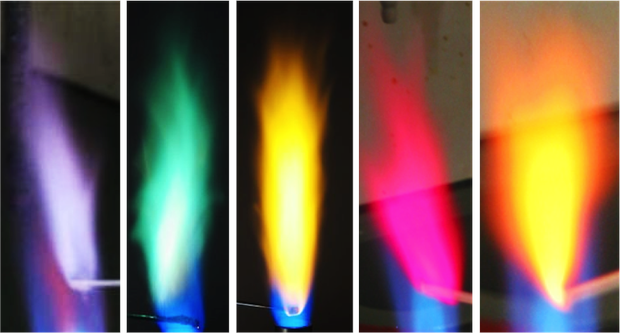 Each element has a certain color of flame.